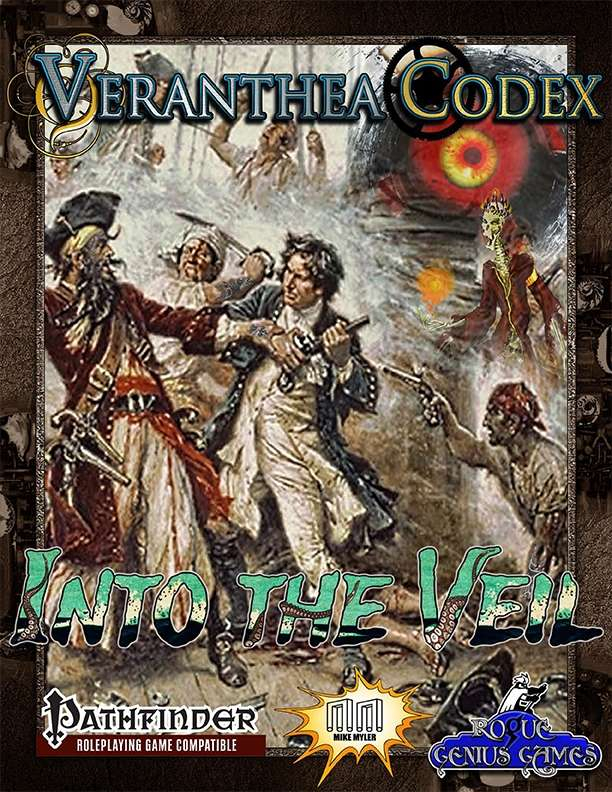 The Veranthea Codex is my first campaign setting (which in itself is six different campaign settings: Grethadnis, Urethiel, Trectoyri, the Forever Dark, The Fifth World, and The Veil.) 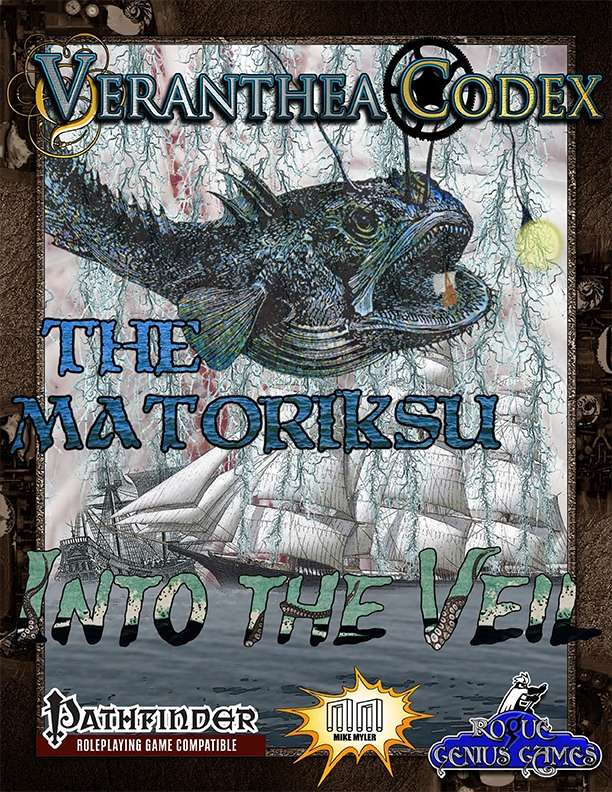 Veranthea Codex‘s 384 page (!!) 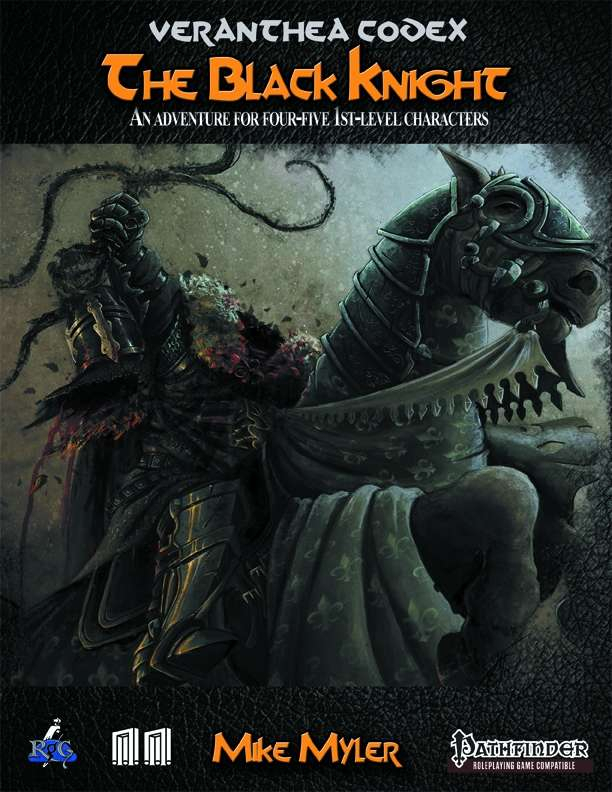 book is available here, the table of contents are below, and there are a slew of free supplements you can download to check out the world’s most radical Pathfinder Roleplaying Game campaign setting! 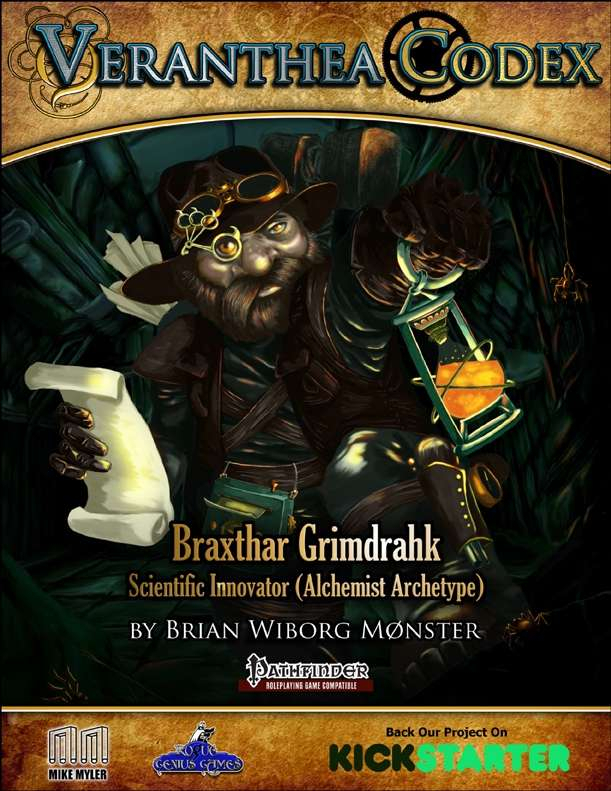 Check out the Adventurer’s Handbook for all the classes and races in the setting–perfect for your players if you’re running a whole campaign! This really big fish prowls The Veil in search of fools as prey! Fly through the air with sciobtha canisters and cut down your cumbersome foes! Do magic the best way: with the power of SCIENCE! When you need to put the hurt on some fool PCs talking smack, look no further. 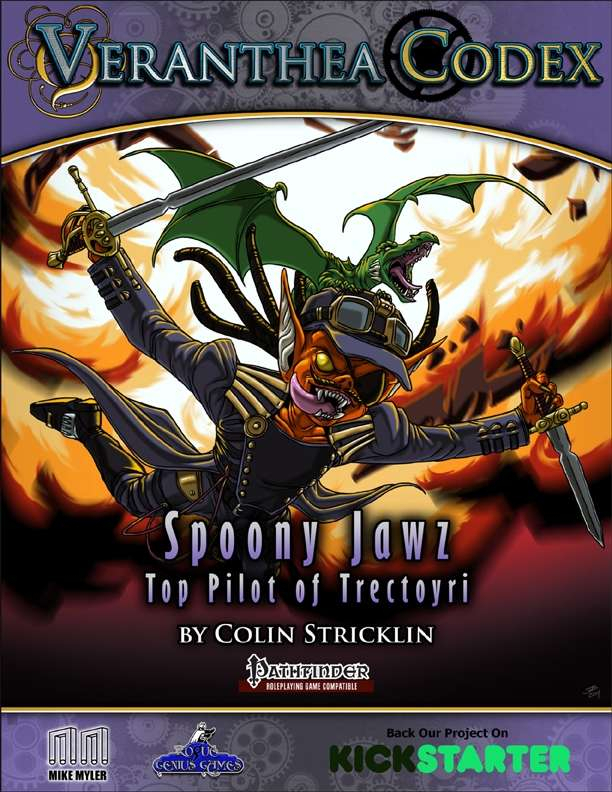 Trectoyri’s top pilot is at your command! 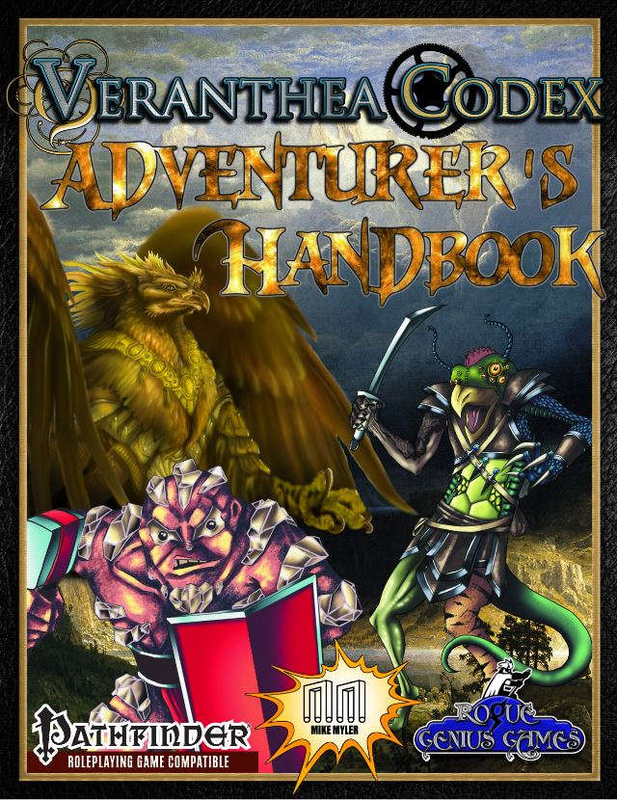 There’s a whole product line for the Veranthea Codex with more coming along still! If you love Monty Python, I love you, and this is for you! 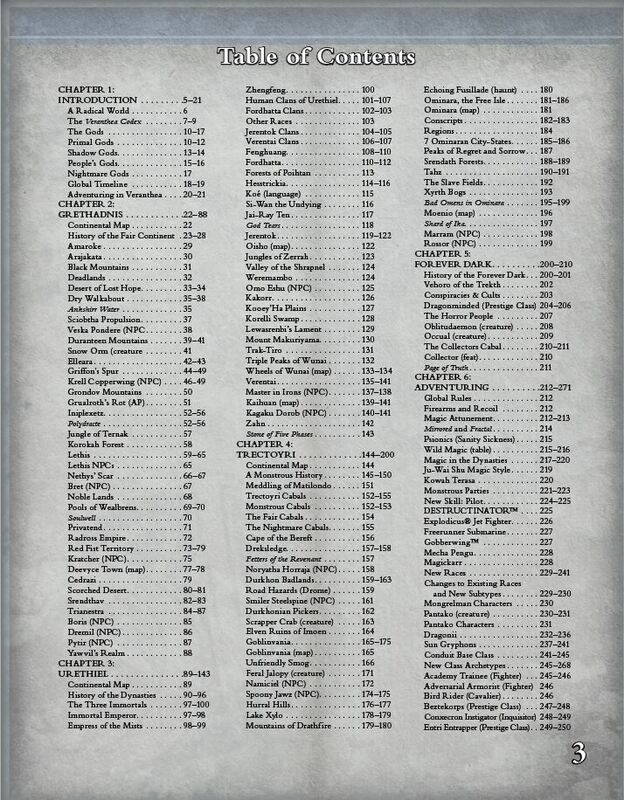 The revised version includes one pregenerated PC from each of the unique campaign settings in the Veranthea Codex! One of the most unique things about Veranthea are the deities. 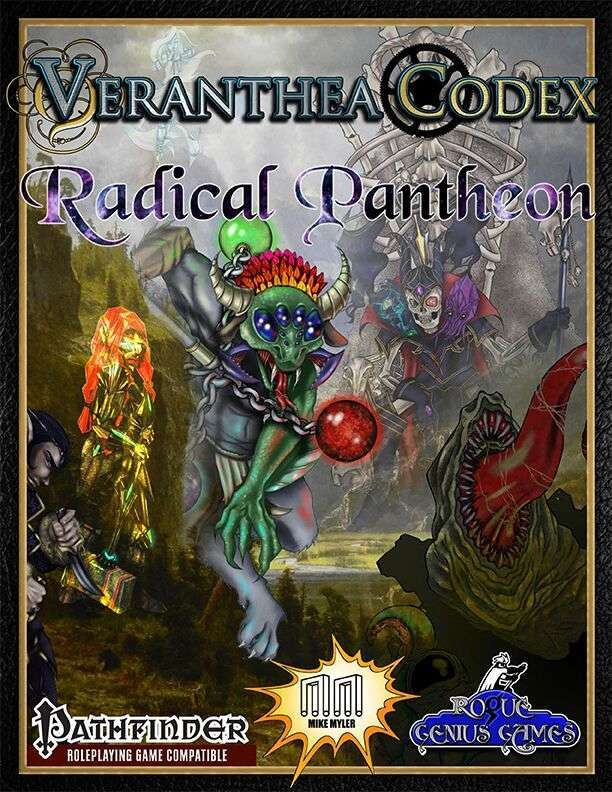 The scant 18 pages devoted to the Radical Pantheon in the Veranthea Codex are expanded within using over 100 pages of new content including unique herald NPCs, godly spells, religious character traits, and much more! Maritime adventure? Check. Robot pirates? Check. Alien lich? Check. If you’re into nautical campaigns but have been hankering for something original and new, Nicholas Giebel’s debut book will do you right. I did the color cartography and a lot of work for the alterran race, but I’d still play around in The Veil in a heartbeat. Michael McCarthy is the brains behind the dubious book. 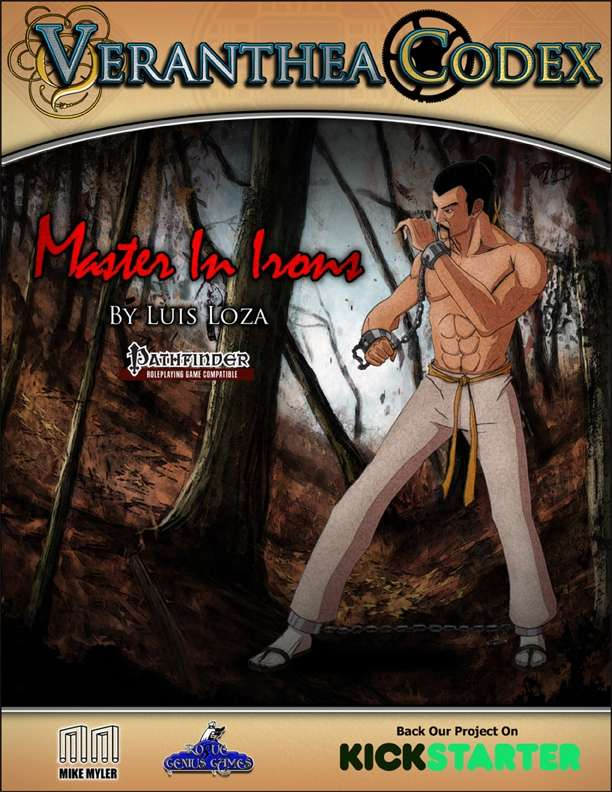 Forever Dark, The Fifth World, and revisions to all the supplements above have been submitted to the publisher and will release at the discretion of Rogue Genius Games. As soon as they’re available for purchase (both in PDF and print!) I’ll hyperlink them here! 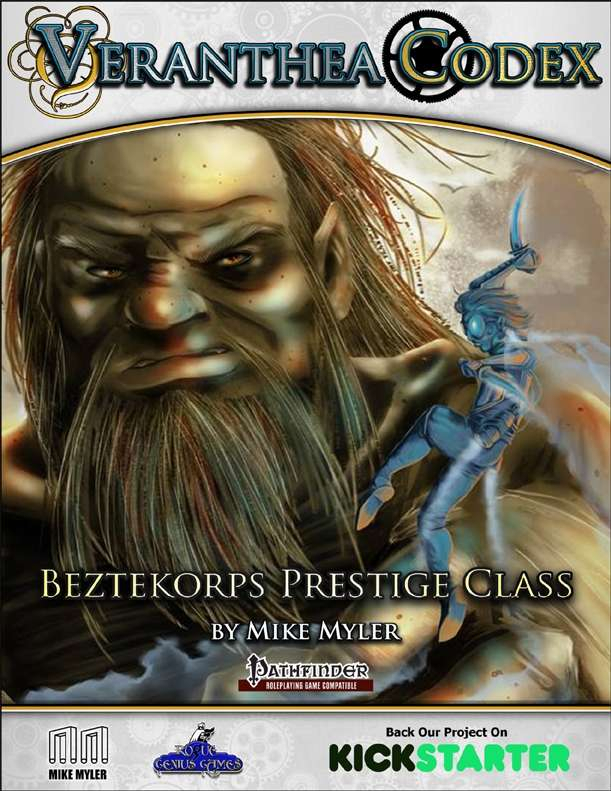 Discover what the dreaded trekth are up to, meet Yawvil himself, and (possibly) save the world in this 52 page adventure!